It’s fair to say that our next interview is with someone who needs no introduction. 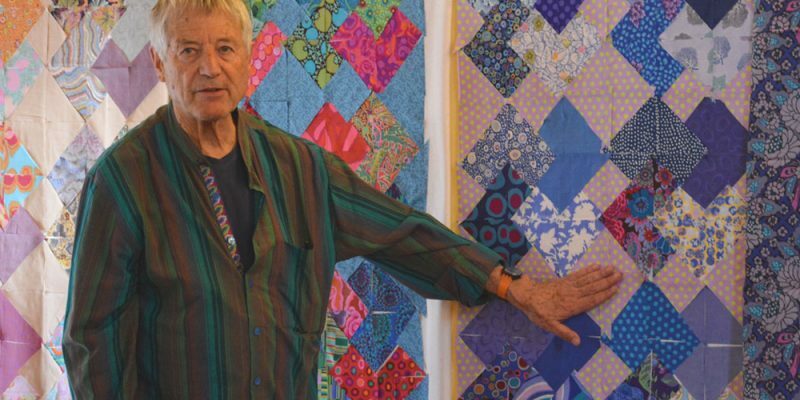 After following this artist for years several of our students – and us included – said that they had often referred to his work and drawn much inspiration from his unique designs. So, we decided to get in touch. 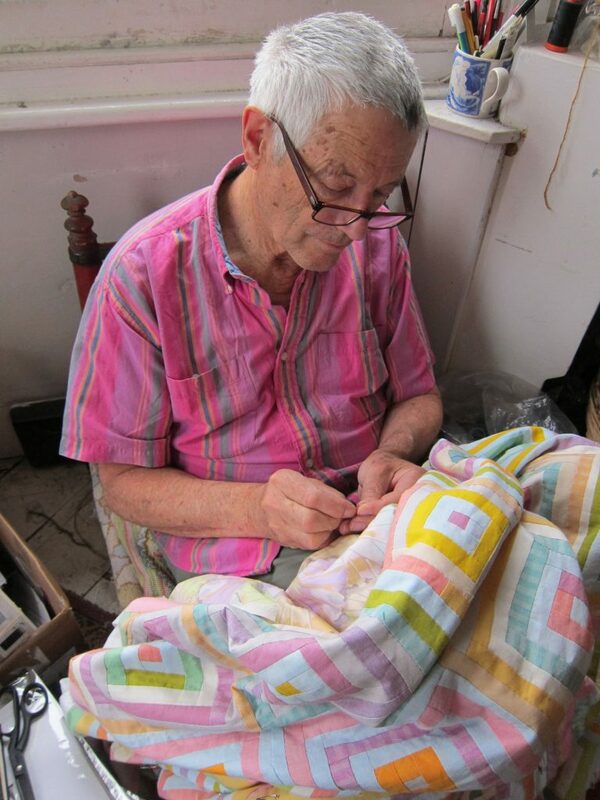 We are immensely excited to share with you, our interview with the formidable and hugely inspiring Kaffe Fassett. Born in San Francisco in the late 30s, Kaffe began studying fine art at The Boston Museum of Fine Arts School. Although he’d won a scholarship to study there he later swapped this for an opportunity to paint in London. Soon his artistic expression and creativity would see him explore other mediums. 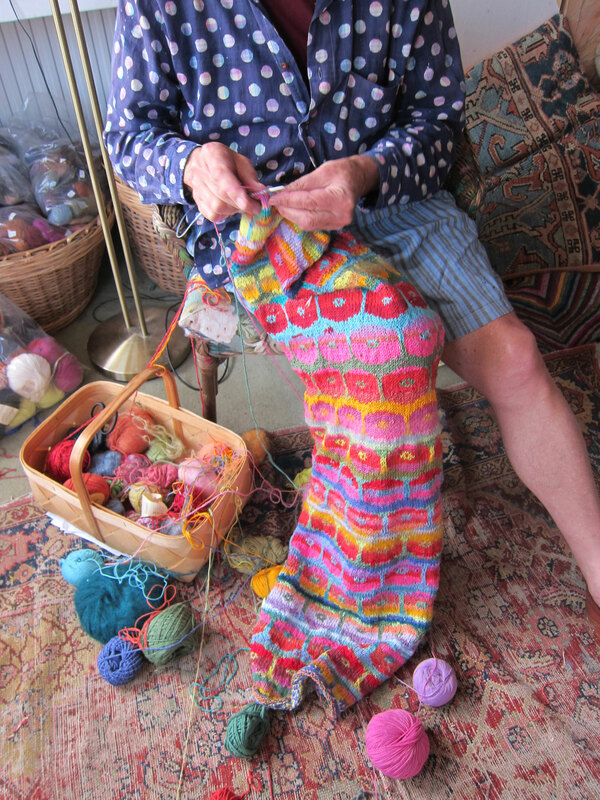 After an inspiring visit to Scotland, Kaffe would learn how to knit (on his way home), develop his own designs and go on to become featured in Vogue Knitting magazine. 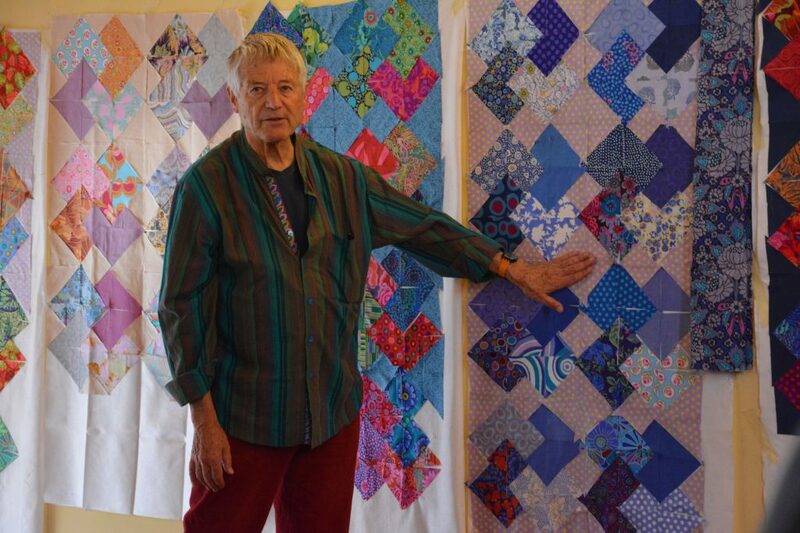 It was his passion for colour that led him into textiles. 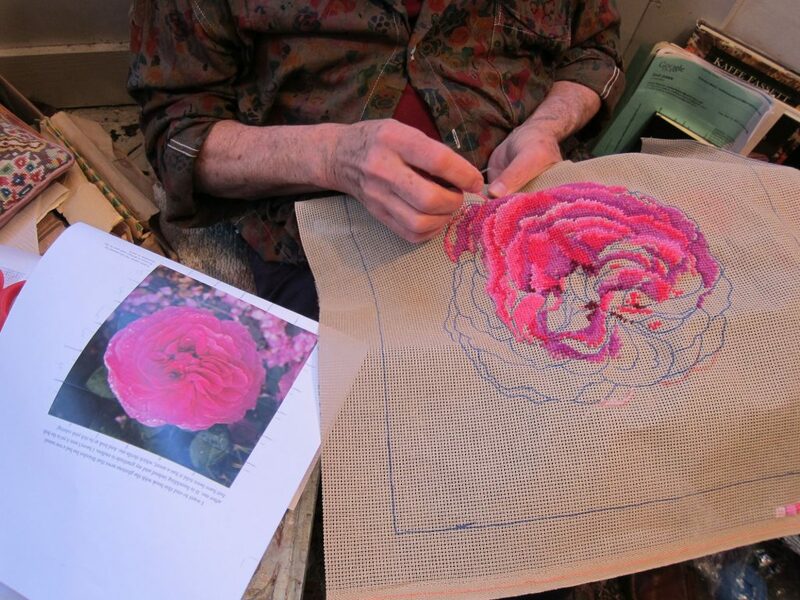 As a multimedia artist specialising in knitting, needlepoint and patchwork, Kaffe has devoted much of his life to these crafts and continues to encourage others through his art, publications, lectures, workshops and exhibitions. 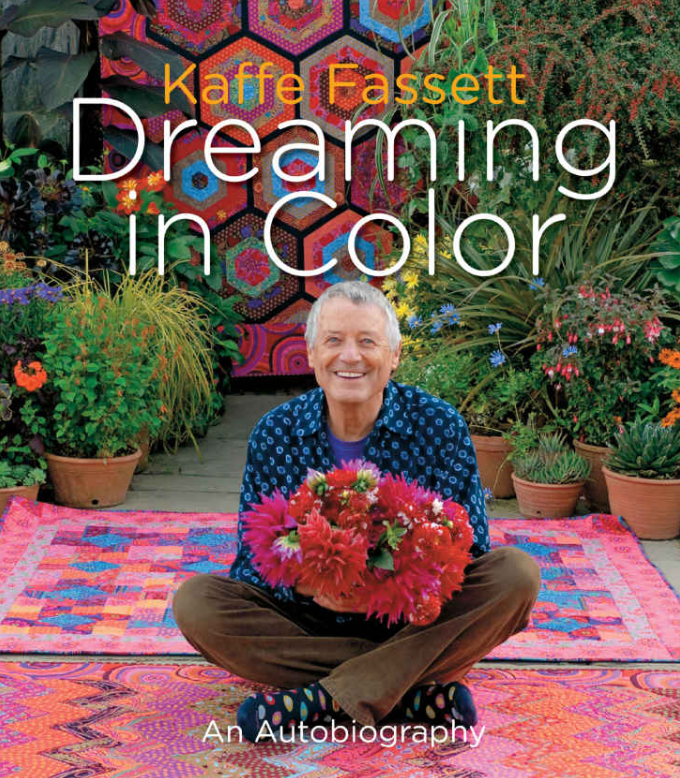 Kaffe is a globally recognised artist and arguably one of the most exhibited and widely published artists in his field. 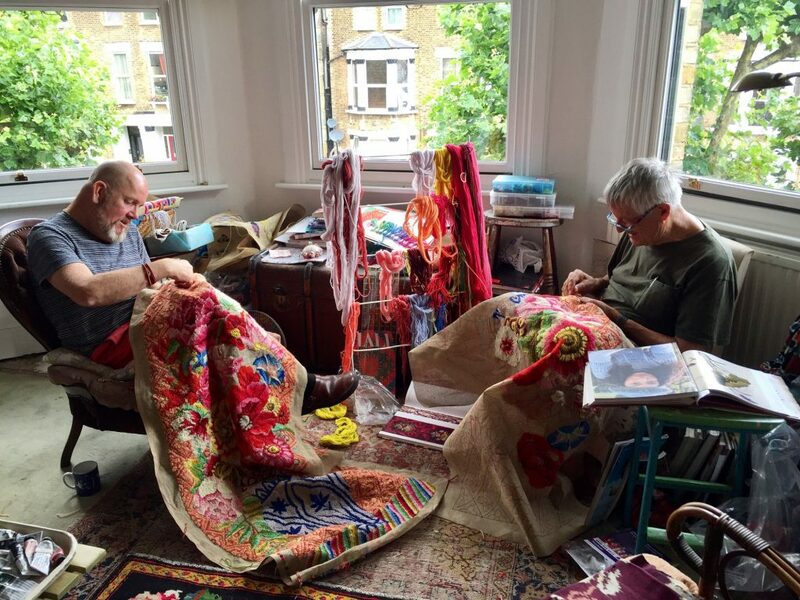 From television appearances, receiving commissions from Barbra Streisand and Lauren Bacall to becoming the first living textiles artists to exhibit at the Victoria and Albert Museum, Kaffe has captured the interest of millions and inspired generations. ‘As always at this time of year, I’m finishing up work on our annual quilt book. Quilts in the Cotswolds will all be Medallion format and will be photographed in my favourite English garden, “Hidcote” in the Cotswolds. You possess a great deal of creativity; do you think that creativity is something that can be taught or nurtured? How can people unlock their own creativity and find their artistic voice? Do you think there are enough men it textiles? Where do you draw your inspiration from and do your pieces reflect this or are they a reflection of how they make you feel? What’s your development process for your designs, if any? Was there a defining moment in your life where you saw your personal style develop? Do you ever feel unmotivated, if so how do you keep yourself motivated? What advice would you give our students who are taking our courses? 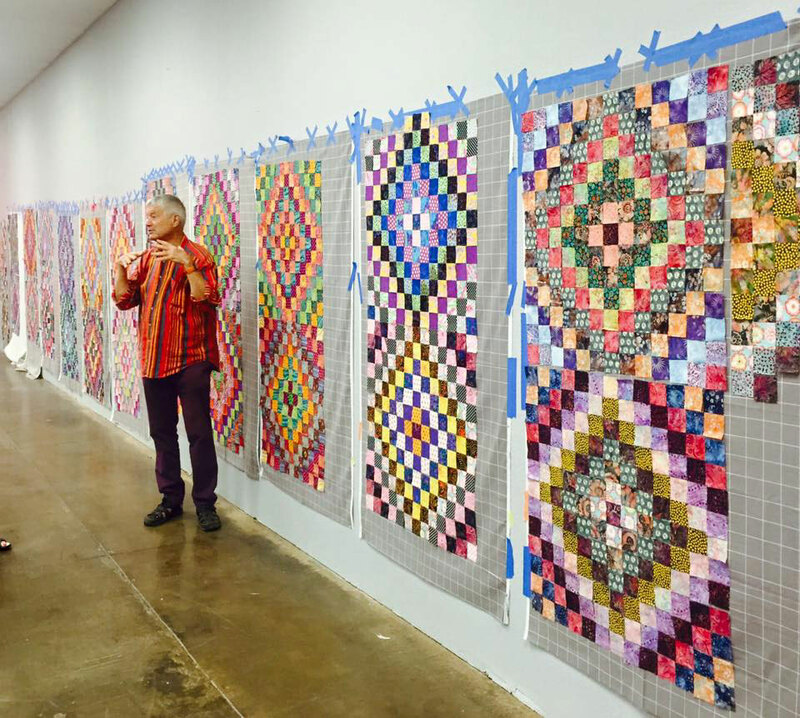 Kaffe’s latest book Quilts in American is being launched this summer and can be pre-ordered here. 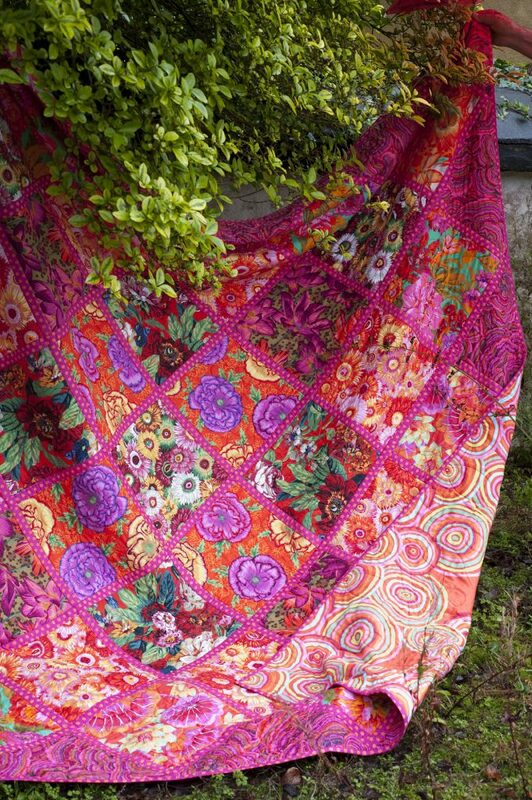 It is inspired by antique American quilts found in the American Museum in Britain at Bath. 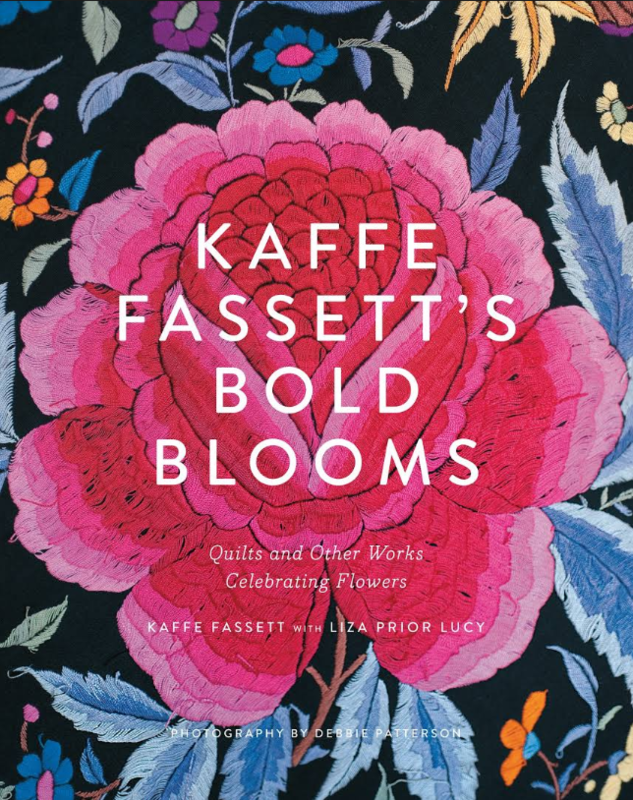 You can also see Kaffe’s work at the Victoria Art Gallery in Bath where he is currently running the Celebration of Flowers Exhibition, alongside a collection of Candace Bahouth’s opulent floral mosaic works my floral quilts and needlepoints. Amy Butler has just released the 5th issue of her beautiful Blossom e-journal which includes a great article about Kaffe and is packed with creative inspiration, so go check it out now. You can also follow Kaffe on Facebook, Instagram and Pinterest. Our next enrolment for our accredited courses is the 4th August so don’t forget to visit and register your interest for our courses.